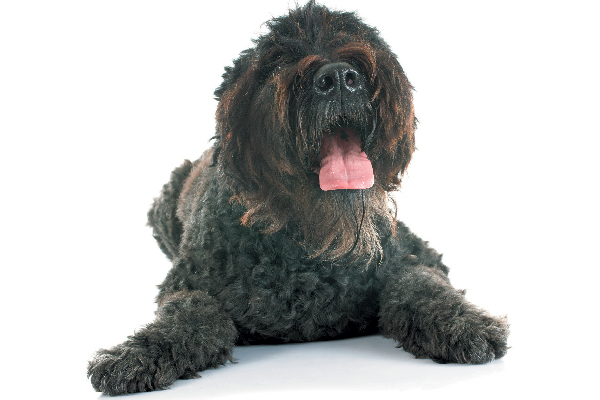 Jeffrey Welch's Blog: Why Is My Dog Groaning When He Lies Down? The post Why Is My Dog Groaning When He Lies Down? by Melvin Peña appeared first on Dogster. Copying over entire articles infringes on copyright laws. You may not be aware of it, but all of these articles were assigned, contracted and paid for, so they aren’t considered public domain. However, we appreciate that you like the article and would love it if you continued sharing just the first paragraph of an article, then linking out to the rest of the piece on Dogster.com. If a puppy is groaning, it could be a sign of growing pains. Photography ©fotojagodka | Thinkstock. Growing pains, or panosteitis, can be as tough on puppies as they are on human children. This is particularly true of larger dog breeds. Also known as pano in dogs, this is an awkward and painful condition that occurs when a puppy’s bones grow faster than they can easily adjust to. Moans and groans when lying down are one way he expresses discomfort. Dog groaning is the least remarkable symptom of this condition. You’re much more likely to see a puppy limping or favoring one leg or another. He’ll also yip or yelp if you touch the tender leg. This issue can affect all puppies, especially German Shepherd Dogs, until they are fully grown, or around the age of 2. One good thing about growing pains is that they end when growing does. Arthritis can cause groaning in dogs. Photography ©cynoclub | Getty Images. Joint pain in aging dogs can even make the simple acts of getting up and lying down more difficult. As with growing pains, groaning is a symptom but not the most alarming. Activities that used to come easily — playing fetch or going up and down stairs, for instance — start requiring much more effort. You’ll also notice your dog licking, chewing or biting at joints that are giving him special trouble. Ascites or fluid in the abdomen can cause groaning in dogs. Photography ©stocknroll | Getty Images. Ascites, or fluid buildup in the abdomen, is the most common medical reason why dogs groan when they lay themselves down. Trapped fluid causes dogs to vocalize as they struggle to get comfy. Pressure on the lungs and stomach can also lead to difficulty breathing and regular vomiting. Most dogs love a good belly rub, but if your dog begins to shrink from your loving touch, he may be experiencing this issue. Why does fluid pool inside a dog’s body? In puppies, it can be caused by accidental injury, like bumping into furniture or fences, during excited play. Older dogs might develop ascites from other conditions, such as kidney or liver damage, cancer or heart disease. 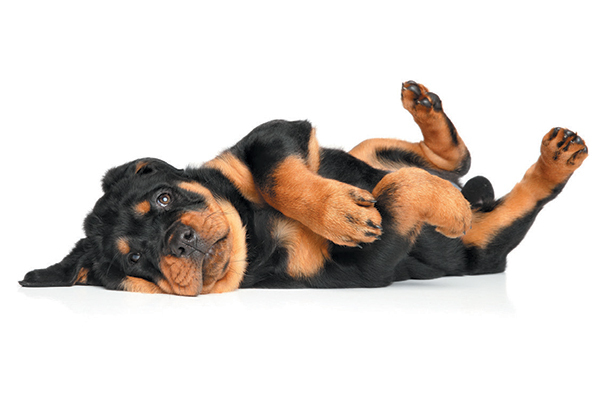 If your dog’s tummy appears suddenly swollen or distended, make an appointment with your vet. We’ve all had the experience of sitting down at the end of a workday and uttering a long sigh or groan of relief. Our dogs might not be gainfully employed, but they take just as much satisfaction from settling into their favorite spots. For the most part, dog groaning, moaning, sighing and grunting are standard dog expressions. Moderation can keep your dog’s groans worry-free! Prevent growing pains from being too severe by limiting your puppy’s exercise until he’s physically mature. Overweight and obese dogs are at greater risk for joint pain, so give your dog small, regular meals and fewer treats. Too much of a good thing — roughhousing or food — can make joint, bone and internal problems worse then they need to be. 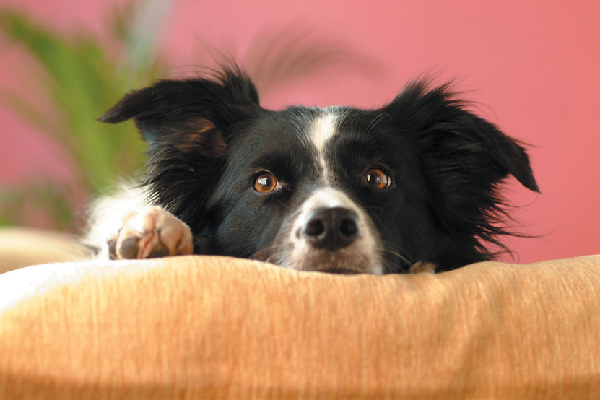 Tell us: Is your dog groaning, moaning or sighing when he lies down? Thumbnail: Photography ©cynoclub | Getty Images. Melvin Peña is a writer, editor, and social media manager who spends most of his time in Durham, North Carolina. His interests include his dog, Baby (of course! ), art, hiking, urban farming and karaoke.